Chances are that you already use accessibly designed interfaces, public spaces, and architecture—because designing for users with disabilities improves the experience for everyone. Just think of the dropped curb found on any street corner—the graded surface helps someone in a wheelchair safely navigate from the sidewalk to the street, but it also helps someone pushing a baby stroller or rolling a suitcase. A powerful approach to making your product more usable for more people is considering the needs of users who can’t see, hear, use their hands completely, or have other accessibility constraints. Unfortunately, most digital products still lack basic features for users with a disability. Imagine the frustrating UX experience of an elderly woman with arthritis whose soft hand movements aren’t registered by her smartphone’s touchscreen. Or a color-blind user unable to distinguish between the different color-coded routes in a transportation app. Accessible digital design can make a world of difference to users like these—and millions more. Respect for the user and their life experience comes first. Before you start talking to people with disabilities and asking for feedback, do your homework. This helps you understand some of the limitations and pain points disabled people experience, and gives you an idea of how they use technology to make everyday activities easier. 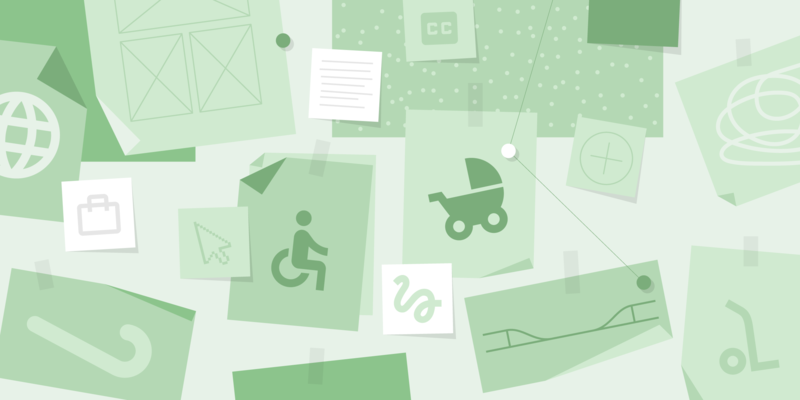 Read about best practices for building accessible user interfaces, like the visual, audible, and behavioral design guidance in the Material Design Accessibility Guidelines. Watch videos showing how people with disabilities use accessible technologies in their daily lives (like screen readers or captioning services). And check out the list of resources at the end of this article for additional recommendations. Think about how many broken experiences these users already have in their daily lives. You don’t want to add to that by not doing your homework first. If you’re interested in designing for people with blindness or low vision, put on a blindfold and try out screen readers like ChromeVox, TalkBack on Android, or Voice Over on Apple. See what it’s like to not use a mouse and have to rely only on your keyboard for browsing the web. If you’re working on a product for people with a hand tremor, try to emulate that experience by shaking your hand while eating with a weighted utensil or self-stabilizing Liftware, which is designed to assist people experiencing hand tremors. Your personal experience with these tools may give you a sliver of insight and set the stage for the next step: exercising your empathy. While trying out an assistive technology is useful, you’ll likely use the assistive tech differently from the people it’s designed to help. Before coming up with a prototype based on your assumptions, observe how your target users go through their daily lives. See how they navigate around their homes, work environments, communities, and grocery stores—both with and without assistive technologies. By watching people perform everyday tasks like answering the phone, browsing videos on the web, or writing an email, you’ll see which interfaces work or don’t work—and how. In order to understand those pain points, ask about what people do to get around situations that usually require the user to be able to see, hear, or operate something manually. It’s also helpful to find a local NGO or community agency that works with the type of users you’re studying, such as an organization for the deaf and hard-of-hearing, and ask for their help finding research participants. Explain that you’d like to do focus groups or follow volunteers around in their daily lives. Unless you’re doing a student project, the NGO might ask for a monetary or in-kind donation for their help in finding your research participants. When you’re new to accessibility, conducting research with unfamiliar users can get uncomfortable. It’s best to to be honest. Tell the people you’re observing that this is new to you and that you may be asking a lot of basic questions but you sincerely want to know about their lives. Be open to throwing out your assumptions. That was a big lesson for Google Interaction Designer Beck Chiou when she did research with deaf and hard-of-hearing users on Google Dialer, the default phone app on Pixel, Nexus, and Android One. Chiou and her colleagues were surprised to learn that deaf users preferred video calls—where they could communicate in American Sign Language (ASL)—over texting. “ASL is so visual and it involves hand gestures and facial expressions. It involves the whole body,” says Chiou. Don’t be afraid to ask questions, even if you think the answer seems obvious. If you observe a non-sighted person feeling objects to know what they are, ask that person what the features of the object tell them (texture, sharp edges, softness, hardness, etc.). The more you understand the world and limitations of your target user, the better you’ll be at designing products that work for their specific needs. It’s one thing to just throw raw technology at a problem. But if you tailor the solution for every user, they’ll want to use your experience. To design a product that will work for all types of users, it’s important to see how a diverse group interacts with their environment and technology. Observe differently-abled people across age groups, activity levels, and familiarity with technology. Younger and older users may use products with varying degrees of proficiency. If you plan on launching your product in foreign countries, it’s also key to conduct international research. For example, users in emerging markets may use older operating systems on less feature-rich smartphones, with low battery power and memory. Because roughly 80% of of people with disabilities live in emerging markets, it’s crucial to consider location, connectivity, and device. If you’re designing an app and only testing it on new and expensive smartphones, it may not work for your target audience. Implementing accessibility changes in design and engineering may require new budget allocations and the collaboration of a number of people in your company. UX Researcher Astrid Weber suggests including stakeholders in your research trips to get “buy-in from several product areas that could be affected by the research findings that you generate.” When people from different product groups and levels of management see how target users interact with and are challenged by existing technologies and products, they're more likely to support design and engineering changes. Once you have mocks or a prototype, test them with your target users. Ask for their feedback on what it’s like to interact with the product. Can they accomplish what they need? Is it easy to use? What can be improved? Can they use the product without assistance from others? In some cases, products need to be easy-to-use by both the disabled person and the person assisting them, such as brake levers on a wheelchair that need to be easily reachable by both the user and an assistant—or an app that’s used by both sighted and low-vision users. Make sure to test both individual features and the entire product experience. 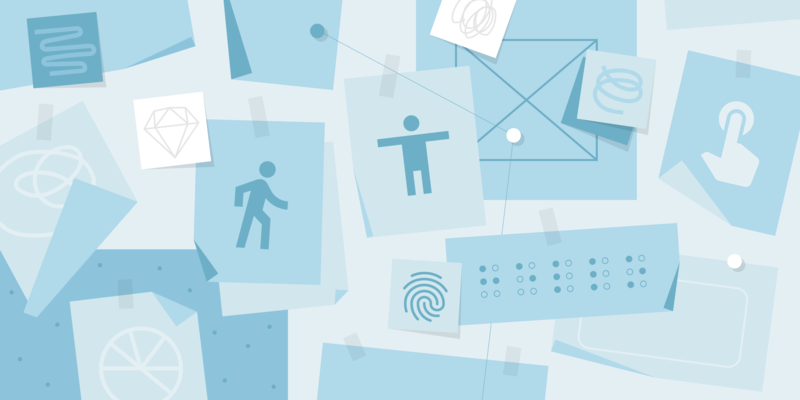 Research is an important part of the design process, but it’s just one step toward making a product that’s accessible for all users. You still have to think critically about your observations, synthesize potential solutions, and test and implement new approaches in your design. But it’s worth it. For everyone.